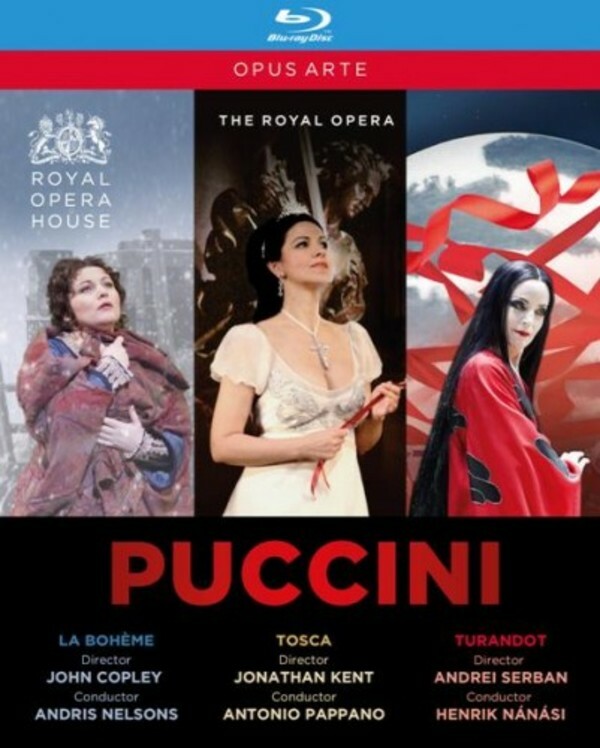 Three magnificent Royal Opera productions of three of Puccini’s greatest operas. John Copley’s iconic La bohème brings the Paris of the 1830s to life in vivid detail; Jonathan Kent’s atmospheric and naturalistic Tosca evokes the turbulence of Rome in 1800; and Andrei Serban’s visually stunning Turandot is a glorious tribute to Puccini’s last and grandest creation. Featuring a host of international opera stars, this collection is brimming with the drama and sumptuous music that have made Puccini one of the world’s most popular opera composers.